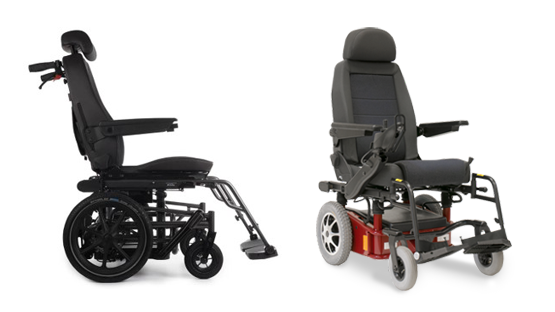 We have a range of adaptions that make accessing your disabled vehicle and/or transferring from your disabled car chair easier. We have a fully kitted out demonstrator vehicle that we can bring to you, with no obligation, if you are unsure of the options that suit you best. While a lot of vehicles are adaptable, please do contact us to check suitability. Some of the options are detailed here. 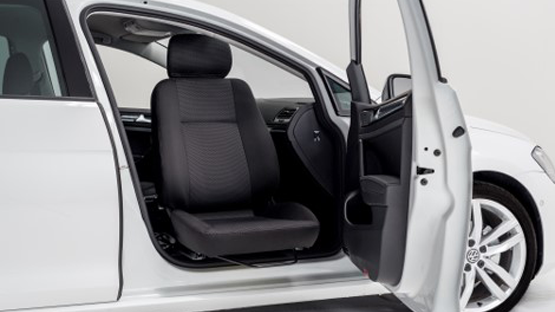 Autoadapt by Elap have a range of seating solutions that are fully crashed tested and available on the Motability Scheme. 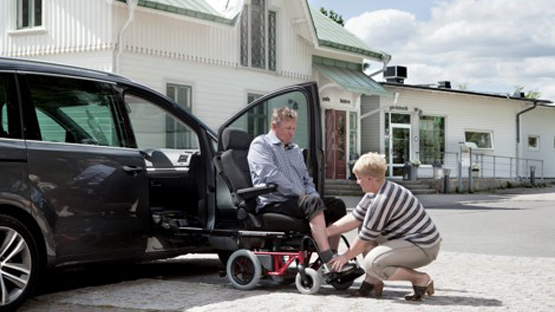 The New Turny Evo 2 was released in 2017 giving customers a reliable and easy to use seat, that comes out of the vehicles door opening and lowers to a suitable position for transfer from a wheelchair, or just comfortable for the customer to get up from. 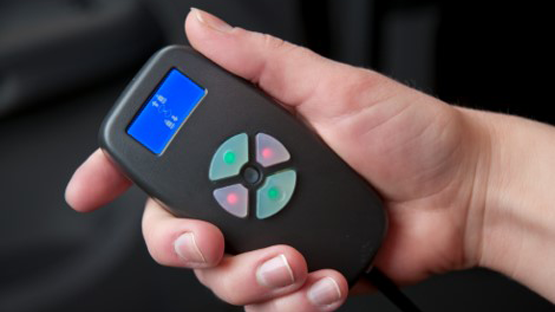 Fully programmable with a easy to use illuminated key pad. Other Seats with more basic functions are available such as; Manual Turnout, Electric Turnout, the Orbit and the HD. Or for lower vehicles or those with smaller door openings, the New Turny Low. If you require the convenience of your car seat also being your wheelchair or power chair. Autoadapt offer the Carony system. The system eliminates the need to transfer, can be used with the Evo, Turnout or Orbit. 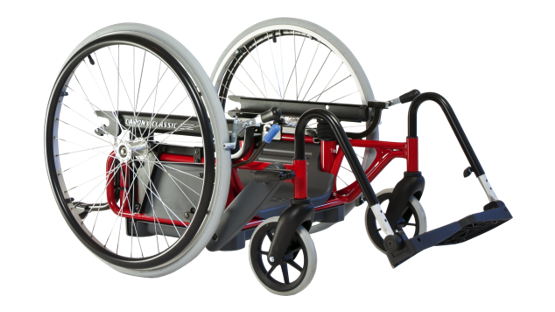 Comes with the option of 24” wheels to make it a self propel wheelchair or the 12” as a “push along” or the electric Carony Go System. All options are simple to use with the swivel seat of choice. The seat docks and slides onto the chassis of the Carony to come out the vehicle. The Chassis is light weight and can be stored in the boot whilst travelling. 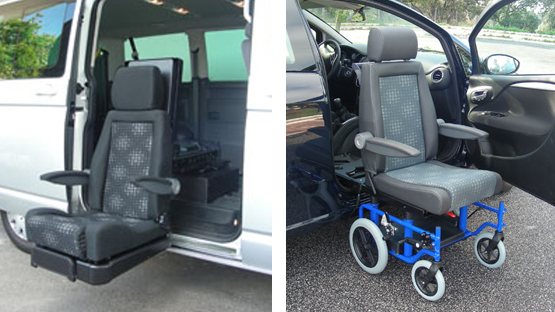 Guidosimplex also offer seating solutions on the Motability Scheme. The D-Tran is a programmable Swivel Seat that rotates out of the vehicle and lowers down to a required level. There is the G-Tran option that allows the D-Tran to dock onto a base to come out of the vehicle and become a wheelchair. Eliminating the need to transfer. A simpler and less expensive option to aid transfer are the plates. Available in an Electric version that can vary it’s height from the door sill to the edge of the car seat. Or the manual version that stays level with the car seat. 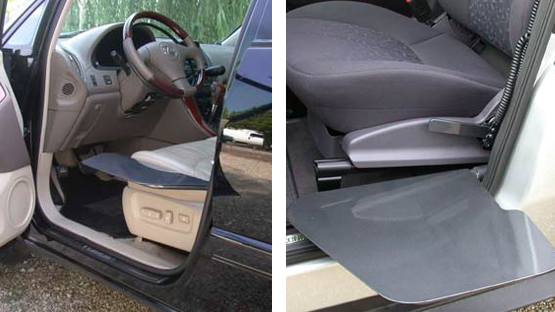 When not in use the Autoadapt Plates flip up out of the way, whilst the Guidosimplex option is easily removed and stored in the passenger foot well. 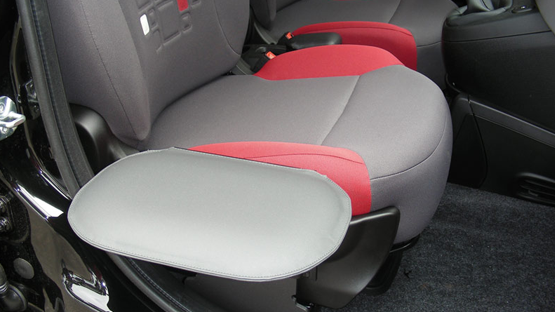 Please click here for our car adaptations inquiry form.